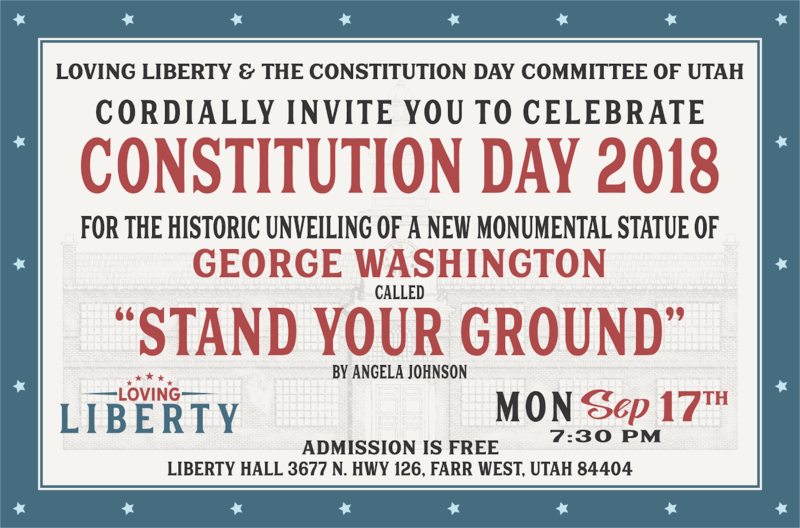 Loving Liberty and the Constitution Day Committee of Utah invite you to celebrate Constitution Day 2018 at the new Liberty Hall in Farr West, Utah on Monday, September 17th at 7:30 pm for the unveiling of the monumental statue of George Washington called “Stand Your Ground”. This breathtaking statue was sculpted by renowned artist Angela Johnson and is the only one in existence. Please feel free to share this postcard invitation with your friends; it’s formatted for emailing! Seating is limited at Liberty Hall to 150. 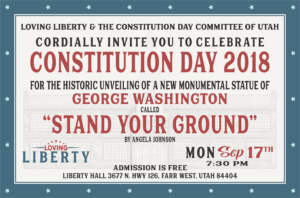 The event begins at 7:30 PM, September 17th, 2018.